The Eden Mobility Sheffield store is one of our flagship stores. Located on the busy A61 Halifax Road, one mile away from Hillsborough Football Ground, this store was purpose built for us four years ago and we worked very closely with the planners to make this store a wonderful experience to customers of all ages. It has over 2500 square feet of space, including a Rise & Recline Chair Centre. There are various living aids, bathing aids and much, much more in store. Feel free to pop in to the Eden Mobility sheffield store for friendly help and advice on your requirements. 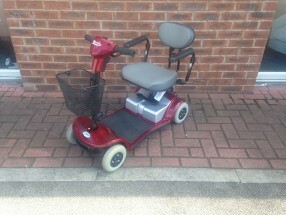 We have 16 used mobility scooters that are available to view at our Sheffield store. Eden Mobility in Sheffield have a variety of mobility scooters available for purchase. If you're interested in a mobility scooter, come and see us at our store in Sheffield and we'll show you our full range of scooters and we will be able to discuss your options with you. 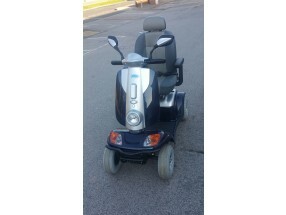 If you're looking for a powerchair in the Sheffield area, come and visit Eden Mobility on Halifax Road - we have a huge range of mobility scooters available. Our friendly team will be able to discuss your options with you and provide you with more information on the scooters. Come and see our huge range of rise and recline chairs in Sheffield today. We have a variety available in different sizes, shapes and colours so you can rest assured that we have something available to suit your requirements. Stairlifts are an ideal solution for anyone who has difficulty getting up or down the stairs. A stairlift is a chair that moved up and down your staircase on a rail that is controlled by an electronic motor. You can have a stairlift installed into your home in Sheffield at a very affordable cost. If you are looking at purchasing a stairlift in Sheffield then please do not hesitate to come speak to us at our store on Halifax Road. We have an in store demonstration for you to see and we'll be able to answer all of the questions you may have about our straight or curved stairlifts. We have a huge selection of wheelchairs available to buy both online and in our store on Halifax Road, Sheffield. Come and see us today to see them for yourself. Our team will be able to provide friendly and knowledgeable advice, answering any questions you may have about the chairs.